Welcome to The Original Toy Company website! Where our products are developed to stimulate and educate children, along with providing great educational play value. We have been know previous as Galt America distributors of Galt Toys. 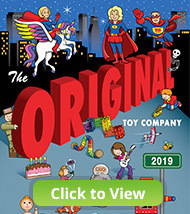 Our new company The Original Toy Company strives to bring distinctive products to the American market. The Original Toy Company’s founders (Kevin and Susan McGrath) have been recognized around the world for their commitment to craftsmanship, quality and design. 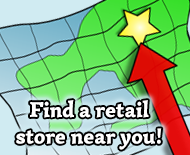 The McGrath’s built and established The Original Toy Company to offer consumers and retailers within the United States a very unique and diverse educational specialty toy line. The McGrath’s strongly believe in traditional toys that not only offer unique play value but also will stimulate the early stages of our children’s lives.